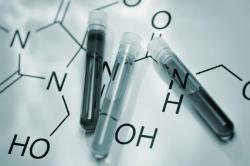 Chemical Engineering is primarily applied chemistry. Chemical engineers are also known as universal engineers because of the mastery it has on the chemical, mathematics, physics and economics through which they solve the technical problems. This course makes them efficient to make new designs and create new processes. There are various job opportunities for the chemical engineers in fertilizer plants, in glass and plastic industry, petroleum refineries, textile industries, food and agricultural products, pharmaceutical firms, in various treatment plants and many other establishments of Private Sectors as well as Public Sectors. If one is interested one can get an opportunity in labs and research fields.